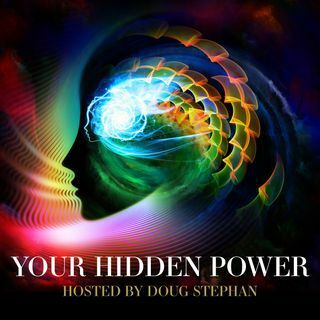 11/19/18 - Your Hidden Power #74 - Are We Looking at Everything Upside Down? Host Doug Stephan welcomes Mark Gober, www.markgober.com who is a businessman and author of "An End to Upside Down Thinking." He began his career as an Investment Banking, but, during the heart of the financial crisis of 2010, he chose to leave Wall Street to join a technology-focused investment bank and strategy firm. After randomly stumbling across podcasts that exposed him to new ideas that put into question the most basic assumptions about who and what we are as human beings, he ... See More realized the need to rethink everything that he thought he knew. The book aims to shift our collective outlook, reshaping our view of human potential and how we treat one another. It's implications encourage much-needed revisions in science, technology, and medicine. General readers may find comfort in the implied worldview, which may impact their happiness and everyday decisions related to business, health and politics. Next, our weekly visits with Psychic Scout Mary O'Maley www.psychicscout.com and Astrologer Maria Francesca TriliegI http://www.mariafrancescatriliegi.com/home.html who warns us that the current Mercury Retrograde is going to be a tough one.